Favorite Fall Fashion Trends — Wish Supply Co.
WSC Points Out 4 Fall Fashion Trends You Won’t Want to Miss! As the leaves begin to change color and the evening temperatures start to feel cooler, it’s time to shop for fall fashions! While Labor Day and back-to-school sales usually tempt shoppers at this time of year -- as retailers unload their summer goods and what’s left of last years’ fashions -- take note of what’s in style. Four super-cool fall fashion trends for 2018 include midi skirts, open back loafers, T-shirt dresses, and delicate/dainty necklaces. Cool, comfortable, and flattering, midi skirts are made in a wide variety of styles that are suitable both for the office and for the weekend. Midi – short for mid-calf – is the name given to this design featuring a hemline that falls somewhere between your knees and your ankles. Given their tendency to be longer than most skirts in recent years, midis can make you appear taller and somewhat slimmer because they draw attention to the length of your legs. The skirt length varies by designer, so try on a number of different patterns and lengths before making your final decisions. While loafers are considered to be a classic style of shoe, a new twist on the old favorite is the open back or backless loafer! The benefit of the loafer going backless is that you won’t have the annoying heel-rub that comes with shoes that have a full back. But, you still get the classic look of the traditional upper that covers your toes. However, open back loafers don’t just come in leather. The other twist in this new look lies in the array of materials and colors in which you’ll find open back loafers. Besides polished leather, look for canvas, jeweled, and even embroidered styles. Some feel more like wearing slippers than wearing loafers! What can be more comfortable than wearing a T-shirt dress? Wearing a T-shirt dress made of silk, rayon, or a cotton/polyester blend! Yes, they’re not just made of cotton anymore. That’s one reason why the T-shirt dress is back for fall 2018. Some T-shirt dress designs are clingy and form-fitting while others are free-flowing with no defined waistline. Newly added features to the usually plain T-shirt dress include buttons, sleeve cuffs, and collars. Make getting dressed easy: Slip on a T-shirt dress and a pair of sneakers, boots, or sandals, and you’re ready to go! While bling is still in style, big bling is getting replaced by delicate and dainty bling when it comes to necklaces. Thinly-gauged chains with or without a tiny pendant can modestly complement both plain and patterned clothing, especially tops and dresses that have a tank or scoop neckline. Dainty necklaces are better to handle in their shorter lengths (princess 16-18 inch, and matinée 20-22 inch lengths) only because they’re less likely to become tangled or caught in the fibers of your clothing. Delicate or dainty, you’ll still sparkle wearing one of these new styles of necklace. Don’t let the fall shopping season pass you by without checking out – and buying – some of these awesome fall fashions for 2018. If you choose a midi skirt, open back shoes, a T-shirt dress, a delicate/dainty necklace – or all of the above – you’ll look and feel great in your stylish new outfits! And don’t forget to add a fashionable bag from Wish Supply Co. (WSC) to your fall collection. At WSC, we create lifestyle accessories designed for you to carry positive energy and good vibes wherever you go! Every bag is debossed with the WSC message: Good Things Are Happening. 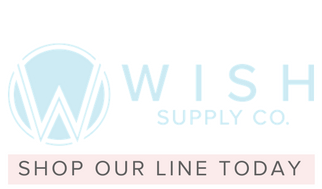 To learn more about WSC and to explore our line of clean, sleek, and classy high-quality leather products, visit us online at https://wishsupplyco.com.